gomo's built-in Tin Can (experience API/ xAPI) reporting dashboard then gives a simple, visual way to analyze courses and learner data. Responsive web learning. intuitive interface and very responsive. You can create projects, lessons, content and host them at gomo hosting. They can then be accessed by consumers of the content any time and anywhere in the world. Logging in is sometimes troublesome. Navigation bars are too many. They should at least provide simplified templates that can be used by the novice to create projects. Otherwise Gomo learning is a beautiful, resources, innovative and good website for learning. For the best experience in learning and searching content, Try Gomo learning software. You will never regret trying this software. Don't hear it from people try it yourself. It is purely cloud based. Used for creating content for learning and improve on service delivery of our people. It allowed us to host our content to be accessed by our employees learning and the online community for research. "Web style responsive content done easily"
We can develop content in house saving time and money. In a matter of days, L&D people can learn the skills required to make great content. The content is much easier to use on mobile devices than anything else I've tried. What Course Authoring solution do you use? "This is the way learning must and is going"
Take one of your old project and build it in the trial then share it, youll be surprised at how impressed your stakeholders and customers will be. 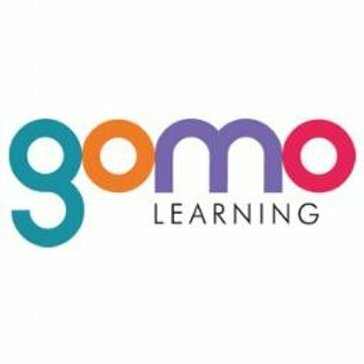 Ask the guys at gomo for some demos to see how simplifying your learning whilst making it usable and eye catching really engages your learners enabling them to learn when and where they want. iSpring Suite is a cutting edge training eLearning authoring tool that helps you easily create mobile-ready presentations or video courses in PowerPoint and share them online to reach the global audience. Inkling is the learning enablement platform designed for the frontline. Bring learning and doing together to modernize the learner experience and improve engagement, development, and retention. Efficiently onboard employees, ensure continued performance enablement and successfully execute corporate initiatives while gaining actionable insights into frontline execution. Save time and money with Lectora Inspire’s robust tools and built-in eLearning Brothers awesomeness. New eLearning developers will love Lectora’s premade themes and templates, while advanced users can easily add custom code and more. * We monitor all Gomo Learning reviews to prevent fraudulent reviews and keep review quality high. We do not post reviews by company employees or direct competitors. Validated reviews require the user to submit a screenshot of the product containing their user ID, in order to verify a user is an actual user of the product. Hi there! Are you looking to implement a solution like Gomo Learning?